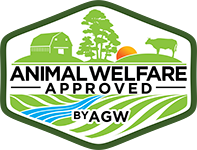 Holly Whitesides and Andy Bryant are first generation famers raising Certified Animal Welfare Approved by A Greener World (AGW) meat chickens, pigs, meat goats and beef cattle at Against the Grain Farm in Zionville, North Carolina. Holly became interested in farming in college, where she was inspired to become actively involved in doing something about the state of the food system. Andy and Holly gained farm experience individually before farming together for seven years. 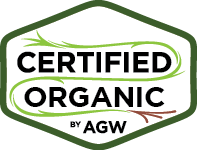 In 2012, they purchased the initial 18 acres of Against the Grain Farm. Over the years, they gradually increased their acreage and are now farming 35 acres. “It’s a typical mountain farm,” Holly explains. “The land is diverse, with some flat, tillable land along with mixed pasture and woods of varying degrees of slope and steepness.” Andy and Holly are joined on the farm by their daughters Beatrice and Corva, along with several farm interns. 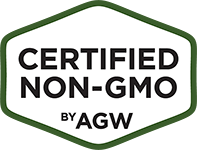 In addition to the AGW-certified meat chickens, Andy and Holly also raise Certified Animal Welfare Approved by AGW pigs. “The pigs are a mix of breeds,” says Holly, “a little Old Spot with a mix of Hereford, Hampshire and Yorkshire. We don’t farrow our own piglets and we buy them in from another AGW farmer in our area.” The pigs are also raised outdoors on pasture or range, where they are free to root and forage as pigs naturally do. The herd of AGW-certified goats are also mixed breeds: “The nannies have strong dairy lines, so they produce a lot of milk,” says Holly. “We have a billy goat that brings in stockier genetics for a bigger carcass, and we like that mix.” Finally, the small herd of beef cattle are rotationally managed, grazing one section of pasture before being moved to fresh fields. 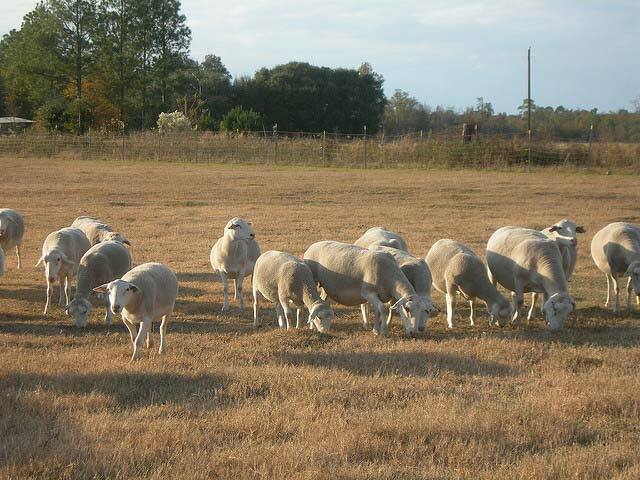 This type of management allows grass to recover before cows return to graze again; it also keeps the soil properly fertilized and minimizes the build-up of internal parasites, thereby avoiding reliance on chemical treatments. 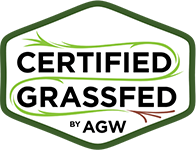 Certified Animal Welfare Approved by AGW products from Against the Grain Farm are available through the farm’s Meat CSA and at several retail outlets in the area. Check the AGW directory for details. For more information about Against the Grain Farm, visit www.atgfarm.com or visit the farm’s Facebook page. Contact Andy and Holly at atgfarm@gmail.com and 828-406-4439.